I've started creating word games fairly recently, so I don't yet have a huge collection of sites like I have for some the other game genres I've worked on like Solitaire. 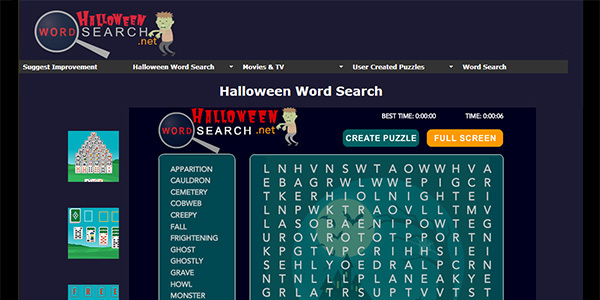 My Word Search web site has thousands of word search puzzles submitted by users to chose one, or you can create your own if you like. 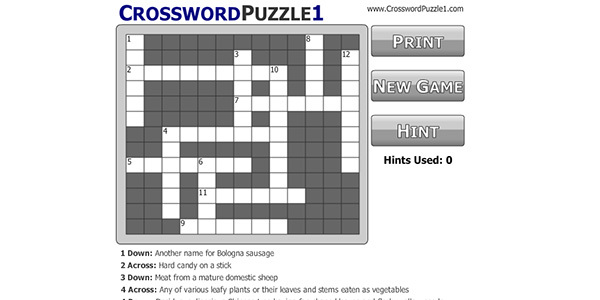 It's my desire to add similar player created puzzles on my Word Mahjong site and my Typing Game site. 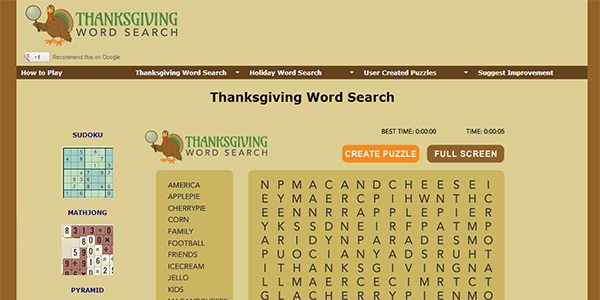 WordSearch1.com is my first word search site. 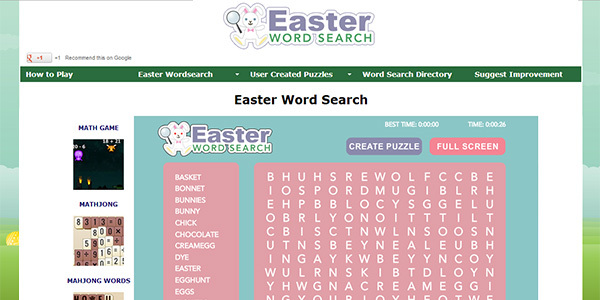 Of all my word search sites, it has the largest directory of player generated word search puzzles. 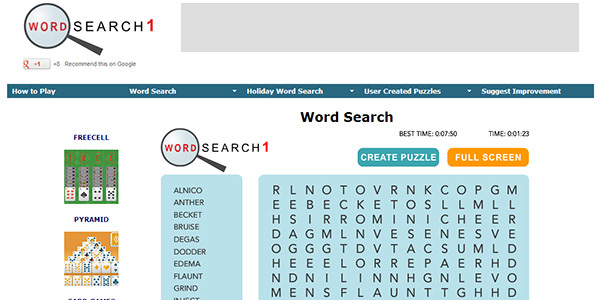 The main word search game randomly pulls words from the dictionary, and hovering over the words on the left side will tell you their definitions. It's a great way to learn new and interesting words. You can play in Full Screen mode, or print off a puzzle to take with you. 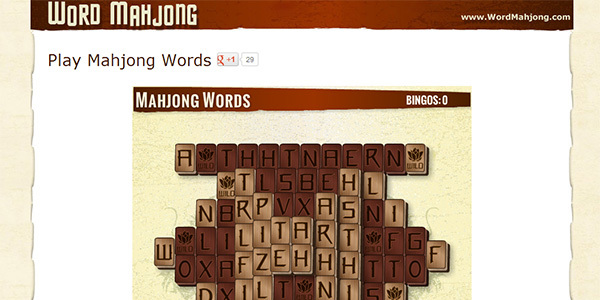 Mahjong Words was actually my second attempt at a word building mahjong game. I changed the look and the bonuses in the game. I like the look of the original, but some users felt that the stylized text was difficult to read. 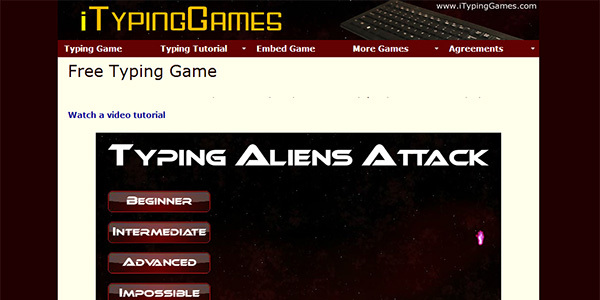 I've been working to update my Typing Games website. Hopefully I'll have a significant update in the near future. 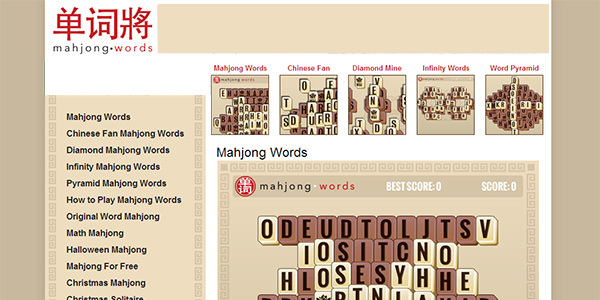 This is my original Word Mahjong site. I keep track of the Bingos in this version, but there is no mechanism for scoring. My thought at the time was that the primary goal was to remove all the tiles. In my later version I added a scoring system. I realy like the stylized tiles and letters in this version, but a lot of users found it difficult to read the letters. 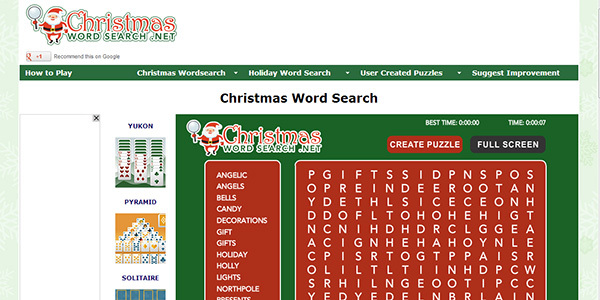 This is the Christmas themed version of my word search puzzle game. I've created several different puzzles with words you see around the Holidays. 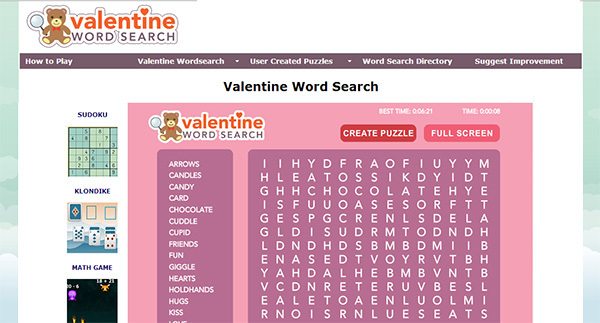 It also has a large directory of user submitted puzzles. My Crossword Puzzle game is not quite ready for prime time. I'm finding it challenging to get this right. Hopefully I'll be able to spend more time on it soon. 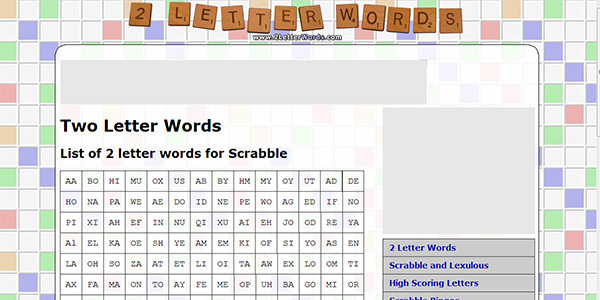 This is my site with tips and tricks for playing Scrabble and other games like it (Lexulous, and Words with Friends). The first page has a list of all the Scrabble legal 2 letter words. I also have several articles written by avid Scrabble Players.